Kathy Lee Gifford – born Kathy Lee Epstein – became a Christian at the age of 12 … in a movie theater … after watching the Billy Graham film, The Restless Ones. She says it was the greatest decision she has ever made – in her entire life. 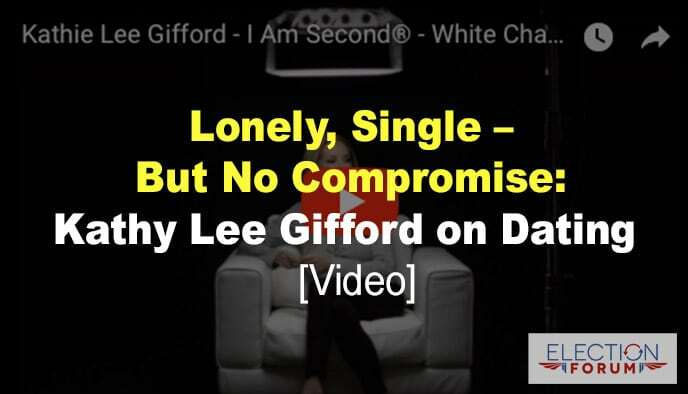 In her “White Chair” video, I Am Second®, she describes feeling unhappy at one of the schools she attended growing up … because she felt the school wanted everyone to look alike … sound alike … think alike. “That’s the exact opposite of what God wants us to do,” she says. She recently broke off seeing someone because he didn’t share her passion for Jesus. I enjoyed this talk from Kathy Lee Gifford. My wife of 30 years passed away two and a half years ago and one night when I was praying I said to the Lord that I was lonely. I heard, “There are a lot of people who are lonely, Go minister to them” So I’m doing that and I’ll see where the Lord takes it. Beautifully spoken. Thank you for posting.